Earth Sapphire Court offers IT/ITES furnished office spaces with Plug-in & Play concept and is prominently situated at one of the prime locations of Greater Noida. Earth Sapphire Court offers IT/ITES furnished office spaces with Plug-in & Play concept and is prominently situated at one of the prime locations of Greater Noida. Types: Office Spaces Sizes: 450 – 750 Sq.ft BSP: 7000/- Sq.ft. PROJECT FEATURES: •	Energy efficient air conditioning •	Laptops with Intel core processors •	Personal computers •	Advanced printer systems •	IP Based KTS Systems •	Director's Table and ergonomic chair •	Visitor Chairs •	Modular Staff Workstations •	Staff Chairs •	Designer lights •	Indoor Plants •	Cordless Electric Kettle •	Fine Bone China Crockery •	Modular Filing Cabinet •	Adjustable reading glass top •	Vitrified Flooring •	Paintings •	Portable LED Table Lamp •	Spacious book shelves •	Monitor & Key Board •	UPS •	Fridge •	Digital Cordless Phones •	Scanner •	Venetian Blinds •	Water Filter •	Fax PROJECT LOCATION: •	Eastern Expressway i.e. Kundli-Ghaziabad-Palwal (KGP) is 15 mins’ drive •	Four mins’ drive from Noida, Sector-121 •	Nine mins’ drive from Pari Chowk •	A part of Greater Noida (W) •	One min’s drive from FNG Corridor •	Huge industrial areas i.e. 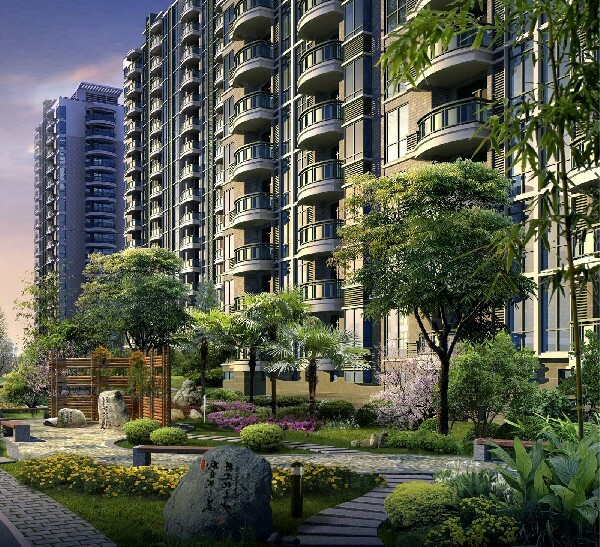 Ecotech 1, Ecotech 2 in near vicinity •	Two way approved Metro connectivity – approx. 5 kms at Gaur Chowk and the same 5 Kms at Sector – 78. B&B is one amongst the top few companies in Tamil Nadu for carrying on the Business of Construction for Residential, Commercial &Industrial Buildings including Pre-construction activities and providing after sales services. Earth Betatech is a part of larger project TechOne and a new commercial project in Yamuna Expressway. 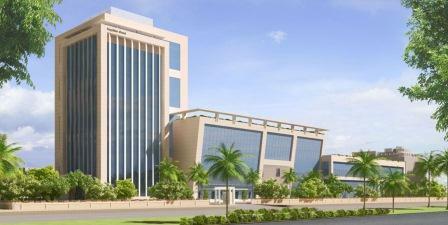 It is a revelation among high-end office spaces in Delhi NCR region. 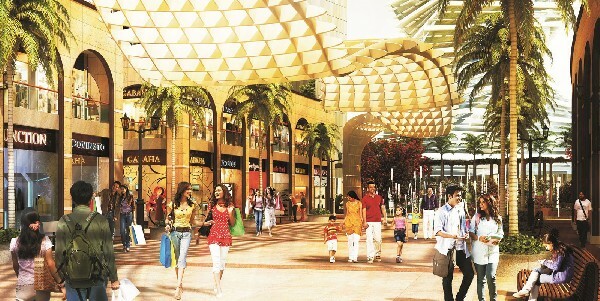 Earth Express One is a shopping complex brimming with life and vibrancy that is sure to transform into the most happening and most talked about commercial projects in Noida extension.It is located in Plot No. 1, TechZone,Greater Noida. 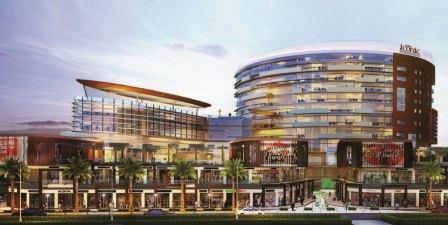 Earth Iconic is billed as the king of commercial projects. 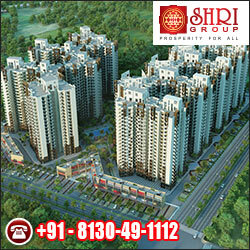 It is located in Sector 71, Gurgaon and connected to Sohna Road and NH8. 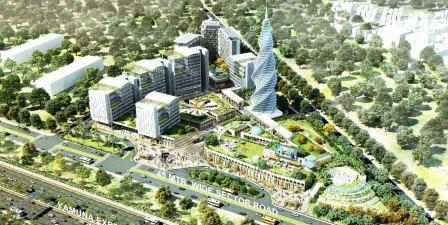 The project provides you with a shopping center, studio apartments and office space in Gurgaon under one roof. Earth SKY GATE is a premium commercial project consisting of exclusive western-style-open-air retail spaces, top-brand anchors, banquet halls with attached roof top terrace. Types: Commercial Projects BSP: 12000 - 13250/- Sq.ft.